Their food collections have now totaled more than two hundred and thirteen thousand (213,000) pounds of food since the program began in June of 2005. Hunger exists everywhere in this country; join them in the fight to help end hunger in Brunswick County. A Second Helping is a volunteer organization that does a transfer of food program and is beginning its fourteenth year this June. It is a program to collect any leftover items from people as they leave the island. Food items are distributed to the needy of Brunswick County through one of the local churches. 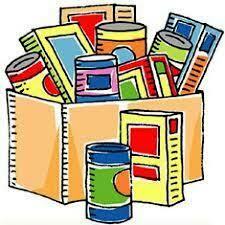 All food items go to “One Can Ministry” at the Sharon United Methodist Church to disperse. Non-food items go to the Rose of Sharon Thrift Shop to be sold to fund the pantry. They take donations Saturday mornings during the summer, from 7a.m. until noon beginning June 9th, and ending September 8th. The drop-off site is at the Beach Mart, south end of the parking lot, on the Causeway just off Holden Beach Road. Your donations are put to good use in helping to feed the hungry in this area. You can either donate food or you can send cash donations. Cash donations are gratefully accepted. One hundred percent (100%) of these cash donations are used to buy more food. You can be assured that the money will be very well spent.